Lauren Davenport is originally from Columbia, Maryland. She will soon begin her fifth year in education after serving two years at an education nonprofit and two years teaching. She holds a Bachelor of Science in Elementary Education from Towson University in Maryland and a Master in Education in Gifted Education from Louisiana State University in Louisiana. Miss Davenport will have just concluded her fifth season of coaching lacrosse, third season of coaching field hockey, and second season of coaching basketball–all of which range from middle school to college club–at the conclusion of the 2017-2018 school year. 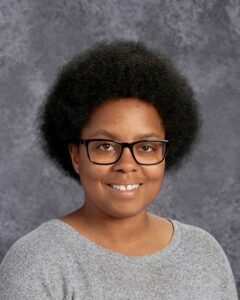 In addition to her passions for athletics and wellness, Miss Davenport pursues her hobbies of filmmaking, photography, and speaking at conferences about topics within the field of Gifted Education. Miss Davenport is excited to be a part of the founding team at Cristo Rey De La Salle and is looking forward to building holistic athletic programs as well as a holistic physical education curriculum!